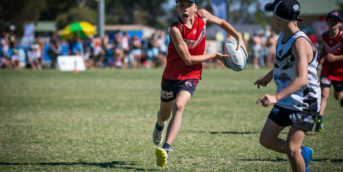 NSW Touch Football wishes to congratulate all teams that have qualified for the 2018 Vawdon Cup Grand Final Day to be held on Saturday October 27 at Chifley Reserve, Chifley. With high-end performers littered throughout each of the teams going into tomorrow’s Grand Final, it could very well be one that goes down in history. Can Doyalson once again make history and claim back to back titles in both Country and Vawdon Cup or will we see Parramatta rain on their parade and break their drought by bringing home the title they have been waiting 18 years to regain. The Women’s Premier League sees youth and experience with the Manly Sea Eagles trying to topple the always formidable Easts Roosters. Manly came out strong against Western Suburbs tonight with Sammy Rogers scoring a treble to lead the team to a 8-1 victory. 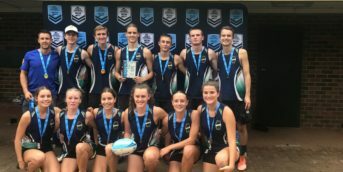 Wests Women’s in 2018 surprised a few with a new coach and fresh new faces. Coach Paul Sfeir could not be prouder of his team. “Dream as big as you want is what I told the girls!” Sfeir said. Manly Captain Laurie Peattie spoke highly of the Wests side that held their own throughout the season. “We knew they would come out fighting tonight, they have been the unknown team all season. It was a good game to lead into tomorrow’s final against Easts,” Peattie said. Canterbury or Easts? This was the game that was destined to be a hard fought battle from the minute the referees whistle blew and it did not disappoint. Both teams brought their A game and the Roosters wasted no time in showing Canterbury they were here to play finals with Monique Ellis scoring first for the Roosters. The Bulldogs were quick to reply when Lara Heaydon was handed the ball showing the Roosters that they weren’t going to make it easy for them. At halftime, the game saw Easts Roosters in the lead. Canterbury fought back to the end but the Roosters proved too strong when recently crowned NSWTA Female Player of the Year Ash Quinlan scored, closing the gate on a match that could have gone either way. Ash Quinlan’s dominance tonight showed why she is a cut above the rest with the Roosters taking the win 7-5 and securing themselves a place in tomorrow’s Grand Final. The Sea Eagles are eyeing their fourth straight title, a feat only bettered by their Grand Final rivals, Easts Roosters who in 1994 successfully won titles for six consecutive years. Easts Roosters continue to dominate the Mixed Division and will face Canterbury tomorrow who tonight fought hard for the win against a strong Wollongong side. Both teams showed how much they wanted the win with Nikki Stanley scoring twice for the Devils and Dean Williams getting over the line three times for the Dogs. With minutes to go the scores were locked and a drop off looked inevitable until Maree Herekotukutuku scored for the Dogs and placing them in the lead and securing a place in their first Grand Final. After coming so close last year in the semi-finals, they showed had some real talent by taking the 2017 State Cup Mixed Plate Final. Come tomorrow, the Bulldogs are aiming to shake things up with no pressure on them. “Easts are undefeated so it’s going to be tough but were are going in as the underdogs. We will try and rattle them with a more expansive style of touch,” team manager Rachel Cummins said. The Roosters will be attempting their ninth straight victory in this division, and if successful, will rewrite the history books by becoming the most successful team in Vawdon Cup with the most consecutive wins once held by the Sutherland Women’s Open from 1985-1991. Logistically the weather and forced change of venues have presented a number of challenges. One of which is the transferal of the NSWTA Liquor licence. Please be advised that there will be no alcohol sales the venue this Saturday. Furthermore, Council regulations provide that alcohol is not permitted on the venue between the hours of 6pm and 8am and no glass bottles whatsoever are to be brought onto the park. We trust that you will respect and adhere to these Council regulations. 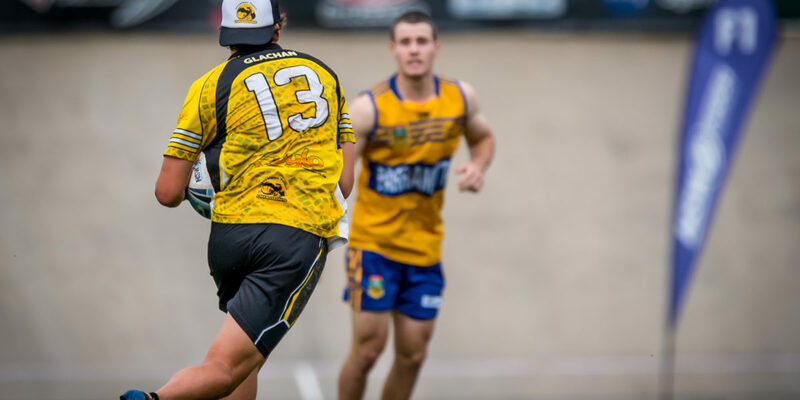 For those who are unable to attend Chifley Reserve tomorrow, you can view all matches on Field 1 live streamed via either of the following: NSW Touch Football Facebook Page or Youtube Livestream.